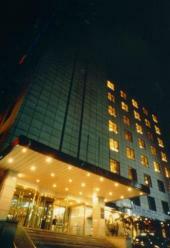 Three star hotel located at Namdaemun! Seoul Rex Hotel, former Namsan Tourist Hotel to open in January 1970, made renovations to reopen as the present five-star accommodation in May 1994. It is located within 1 minutes walking distance from Hoehyeon station (subway line 1). N Seoul Tower can be seen from the back of the hotel and Namdaemun Market is nearby for a convenient shopping experience. Guests can go on a shopping spree, come back to leave the bags in their rooms and go back out to have more fun! Also within walking distance are Myeongdong with shopping havens Shinsegae Department Store and Lotte Mart. Despite close proximity to such tourist attractions, the hotel itself is situated in a quiet neighborhood, providing peaceful rest. There are 100 guestrooms on floors 3 to 10, all with modern interior offering comfort. They all have 220 volt outlets, so for guests with 110 volt electronic appliances, ask for a converter at the front desk.